Come to the Matthews Art Gallery to be a part of the Community Arts Show (formerly the Winter Art Show) Awards Ceremony & Closing Reception. 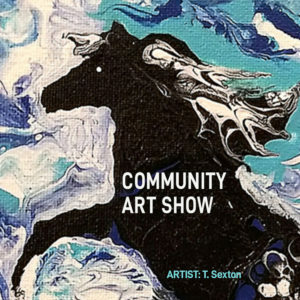 Meet the artists, view local artwork, and show your support! The show opens for public viewing on April 10 and runs through April 18. Regular gallery hours apply for all dates. The awards ceremony on April 18 is in the evening 5-7 p.m. with the awards presentation starting at 6 p.m.